On a recent steamy night in Roseville, California, just north of Sacramento, a crowd of people filled a small office suite in a strip mall. They were there to hear from the woman they hope will unseat five-term Republican Congressman Tom McClintock. After an impassioned introduction from her staff and rousing welcome from the audience, Democrat Jessica Morse took the mic. "Wow! Thank you all for being here!" she cried. Morse is 36 and a first-time candidate. She's optimistic about her odds in a district Republicans generally consider a safe seat. In past elections McClintock has typically pulled in about 60 percent of the vote. But Morse believes her strong ties to the area -- her family has lived in the district for five generations -- will help put her over the top. Morse is one of 14 female newcomers challenging incumbent California congressional representatives this year. And she is among a record number of women running for federal office in 2018. The Center for American Women and Politics at Rutgers University reports 54 women filed to run for U.S. Senate while 476 filed to run for the U.S. House, both record highs. The Center’s Kelly Dittmar said the election of President Donald Trump did spur many to run. "We do see consistency, particularly among Democratic progressive women running," Dittmar said. "[And] the 2016 election in some way or in some various ways acted as a catalyst for them to run." But she said, regardless of political ideology, policy is what most women tend to focus on on the campaign trail. School psychologist Jaclyn Moreno decided she wanted her voice to be heard after the 2016 election, so she started a political activist group. Like a lot of women, Moreno was asked to run for office several times. But she says she seriously started thinking about it after she realized -- along with her 10-year-old daughter -- that out of all the people representing them, at the federal, state and local levels, only four were women. 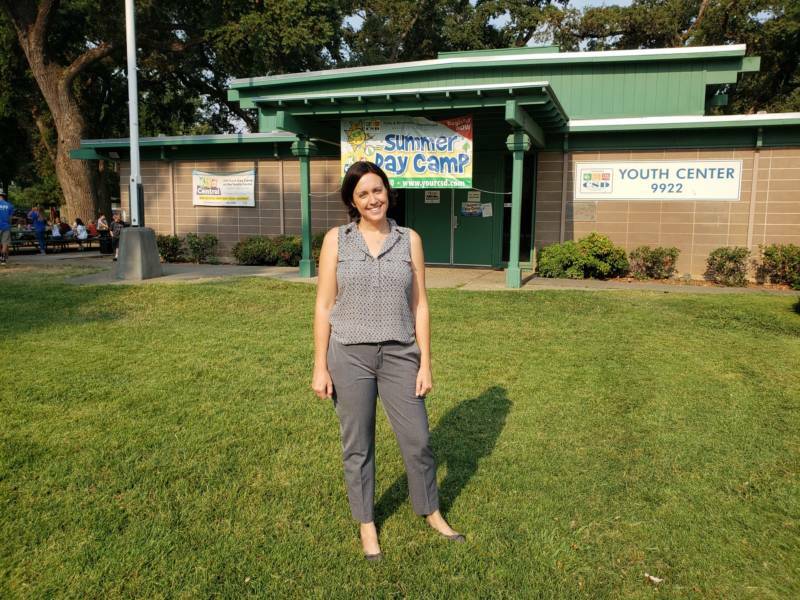 So Moreno took the plunge and is running for a board position on the Cosumnes Community Services District. The five member board -- currently all-male -- oversees parks, recreation centers and fire departments in an area south of Sacramento. The fact that Moreno was initially hesitant to run for office isn't unusual. Research shows in addition to having to be asked, women are often concerned about how they'll juggle a campaign and their family. Many worry the race will get mean and that fundraising will be difficult. It's also typical for women to doubt whether they are qualified. But Moreno said her experience has shown her too many women underestimate the value they could bring to an office. But just because they’re optimistic doesn’t mean there aren’t a ton of challenges along the way: fundraising, reaching potential voters, dealing with opponents. 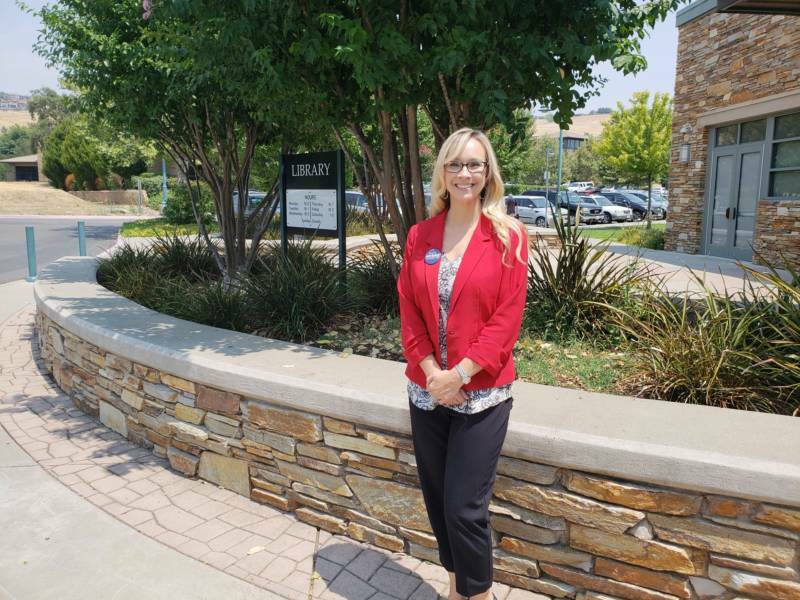 Janelle Horne, a registered Republican, is running for El Dorado County Clerk Recorder. She was recruited to run for the non-partisan position when it opened. And with her background in mortgage lending she thought she was the obvious choice. But she’s running against a long-time member of a local school board who some believe should be next in line for the job. Horne was the top-vote getter in the primary and is in a competitive race. But the political reality is many of the women running for office will lose. Rutgar’s Kelly Dittmar says those losses shouldn’t be viewed as failures, but should be celebrated because a lot more women got in the race.